Vuthy would often miss school because she was sick or because she needed to work to help the family’s income. 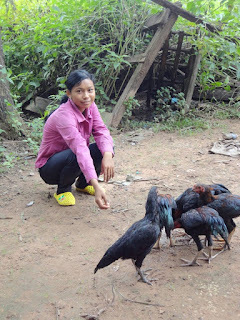 When Vuthy got sponsored, her mom learned new health and sanitation practices, and Vuthy stopped falling constantly ill. Then her mom joined a Savings and Learning Group and was able to start a business to provide for their family. Today, Vuthy’s mom is an FH volunteer, helping other families make the same changes she did. Thanks to her hard work, Vuthy—and other children—are back in school!